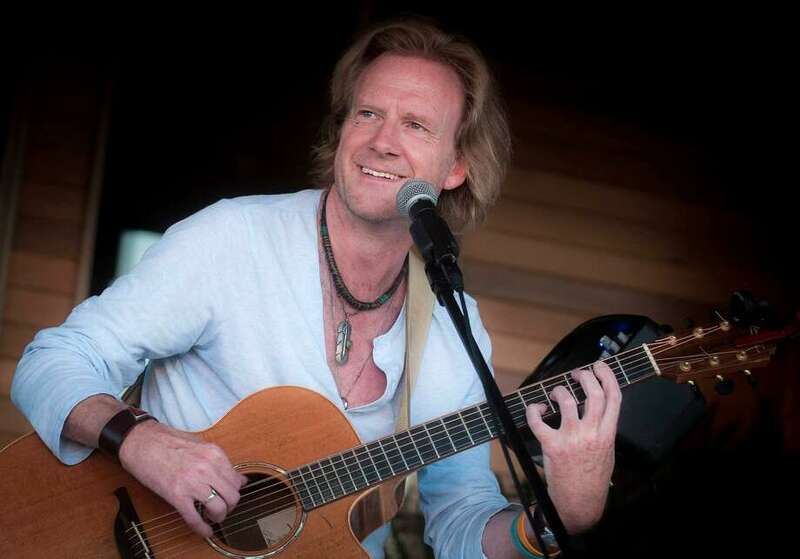 Traveling troubadour Rupert Wates will appear at Voices Cafe in Westport at 8 p.m. Saturday, Dec. 8. The 78th Annual Candlelight Concert will be presented at Staples High School in the auditorium on Dec. 14 at 8 p.m., and Dec. 15 at 3 p.m. and 8 p.m. This annual event showcases the talents of Westport’s nationally recognized musicians and performers. Some pieces from the evening will include “Sleigh Ride,” “Three Moods of Hanukkah,” “O Tannenbaum ” and “Hallelujah Chorus.” Groups performing will include choral groups Bella Voce, Choralaires, and Anima Cantorum, Staples Bands and the Symphonic Orchestra. This year’s Candlelight program artwork is by Staples sophomore Sarah Allen. Free tickets are available at www.staplesmusic.org (four ticket maximum). Music & Arts at Christ & Holy Trinity Episcopal Church presents its 16th annual festival of Christmas Lessons and Carols this year on Dec. 16, at 5 p.m. The program of anthems sung by the choirs of Christ & Holy Trinity, including high school and middle school students, and traditional congregational Christmas carols, combined with readings associated with the season, is performed in the style of King’s College, Cambridge. Organist Chase Loomer, a graduate student at the Yale Insitute of Sacred Music, will play the service. The church will be festooned in holiday greenery and lit by candlelight. A traditional yuletide reception, complete with mince pies, sausage rolls, and Christmas cookies, will follow immediately in the Great Hall, adjacent to the church. This year’s musical offerings range from medieval English to contemporary. There will be arrangements of Christmas carols by David Willcocks, John Rutter, Malcolm Archer and others. The presider for the service will be the Rev. John Betit. There is no charge for admission, but since demand is high and seating is limited, congregation members are encouraged to come early. Doors open at 4:30 p.m. The church is located at 75 Church Lane in downtown Westport. Music & Arts will continue on Feb. 2 at 5 p.m. with a performance by Yale University’s legendary a cappella group, The Whiffenpoofs, featuring Westporter Nicholas Massoud. They will perform two 45-minute sets. The Westport Department of Human Services Commission for Senior Services is reminding seniors that the department offers a list of middle and high school students willing to work small outdoor jobs such shoveling walkways, according to a news release. There is a suggested fee of $10 per hour. Seniors needing assistance may contact the Westport Department of Human Services at 203-341-1050. Students interested in helping a senior in need and earning extra money should contact the Department of Human Services at 203-341-1050 or via email at humansrv@westportct.gov. Students already registered for this program are requested to contact the department if they wish to remain on the current list. Written permission from a parent or guardian is necessary. Katharine L. Mussio has joined Westport Country Playhouse as director of marketing and audience development, leading the historic theater’s marketing, public relations, communications, and audience development efforts for its season productions and programs. Mussio comes from a 10-year tenure with Time Inc., most recently as account director of client partnerships at The Foundry, Time Inc.’s creative lab and content studio. For top agency accounts, including Bank of America, Merrill Lynch, and Unilever, she produced and managed custom content programs. She helped expand the Merrill Lynch account from a quarterly magazine to an award-winning, digital/print branded content program with websites, interactive graphics, e-newsletters, videos, and social media promotion. Mussio holds an MBA and master’s degree in arts administration from the University of Cincinnati. She completed her undergraduate degree in French language and literature at the University of Michigan.